San Francisco Sexual Harassment Attorney | Bracamontes & Vlasak, P.C. At the law firm of Bracamontes & Vlasak, P.C., we understand that if you have been a victim of sexual harassment, you might not know where to turn during this difficult time. Victims of sexual harassment throughout the Bay Area count on us for a high degree of professionalism, confidentiality and trust. We help victims of sexual harassment obtain financial compensation for damages arising from violations of Title VII of the Civil Rights Act of 1964 and Fair Employment and Housing Act (FEHA) of California. Quid Pro Quo: Is a Latin phrase meaning “this for that.” An example of this form of sexual harassment occurs when an employer promises a promotion or favorable review if the subordinate submits to unwelcome sexual advances. Hostile environment: A hostile work environment can be created by consistent verbal, physical or visual harassment. Examples of this form of sexual harassment can include – touching, talking, off-color jokes, offensive images on computers, etc. Can I keep my job? When to file a law suit? What happens if the situation gets worse? Should I wait to get fired? 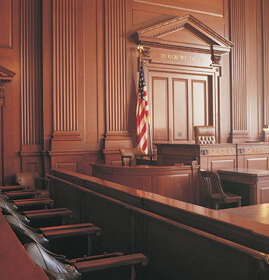 At BV Law, our attorneys will meet with you and listen to what you have to say. We will get the facts of your situation and advise you appropriately. We will work with you to create strategies to improve your overall situation. For more information about employment discrimination or wrongful termination please follow the provided links. The law firm of Bracamontes & Vlasak, P.C., provides legal advice and representation in San Francisco, Oakland, San Jose and communities throughout Northern California. Contact our office to schedule a free initial consultation with a lawyer. We can also be reached by telephone at 415.835.6777.